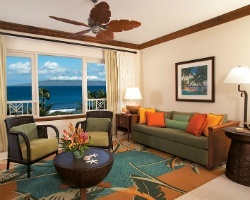 Within the renowned Marriott's Maui Ocean Club are the deluxe *Marriott's Maui Ocean Club - Lahaina & Napili Villas*, offering guests one, two- and three- bedroom villas. Enjoy access to a pool with a children's area, lagoons, water slide, waterfalls, and whirlpool spas. Additional amenities include pool bar, fitness center, game room, and children's activity center. 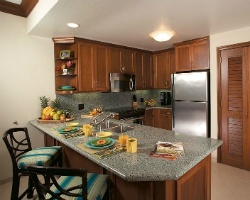 Villas feature private lanais, separate living and dining areas, and gourmet centers. Adjacent to the property is the beautiful 36-hole Ka'anapali Golf Course. 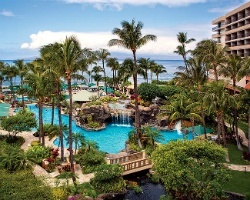 For more information about this fabulous resort, visit www.marriottvacationclub.com. 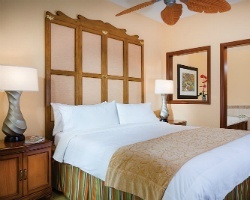 *Interval International Elite Resort* Featuring a finely appointed 2 bedroom, 2 bath lockout oceanfront suite that will accommodate 8 guests comfortably. Usage is annual in a floating, platinum season week. For more information or to make an offer, please submit the inquiry form.